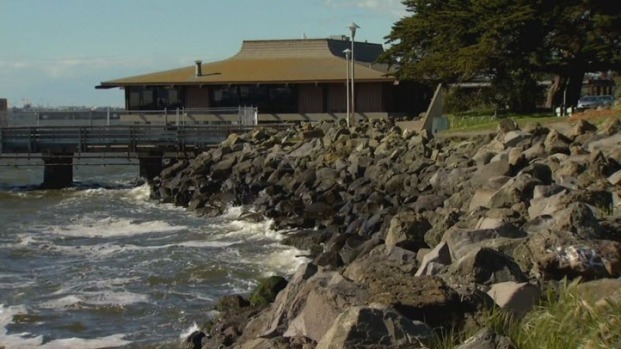 Police are investigating a case of animal cruelty after five animals were found dead or clinging to life along the shore in the Berkeley Marina. Investigators believe the animals -- three raccoon's, a feral cat and a possum -- were targeted. A necropsy revealed four of the animals were shot with some type of pellet gun or rifle, police said. The possum died of natural causes, police said. "It's likely the animals were shot with the pellets and wandered for some distance," said Byron White with the Berkeley Police Department. A grounds keeper called police about the discovery on Saturday after finding the animals along the Marina between the Skates and His Lordship restaurants. The two animals still alive were taken to the Berkeley Animal Shelter but one died shortly after it arrived there. The last remaining animal was later euthanized, according to police. Berkeley police say several animals were shot to death over the weekend. Cheryl Hurd reports. Scans of the animals found that at least three had been shot by some sort of pellet gun, with the projectiles still present in their bodies, police said. Officers documented the likely places where the animals were shot and searched the area for possible witnesses. Police said they do not have any suspects in the case and an investigation is ongoing. Anyone who may have information about the case is asked to call Berkeley police at 510-981-5900.